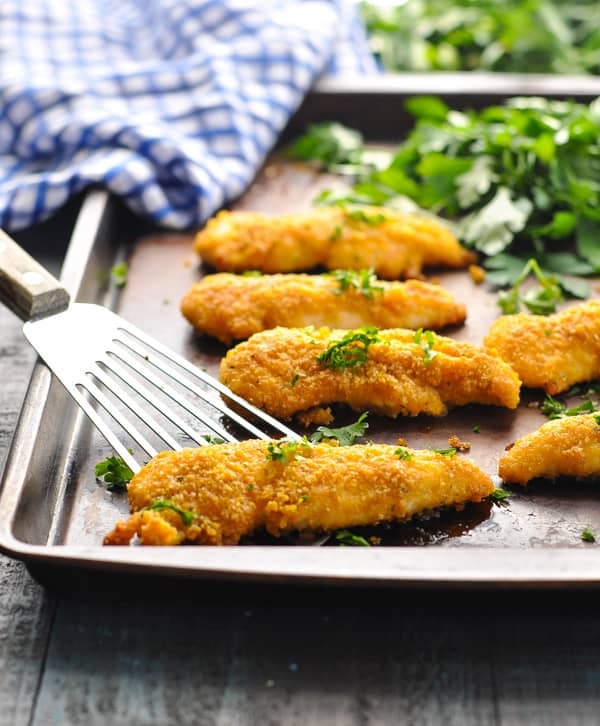 Crispy, full of flavor, and easily baked in your oven, this 5-Ingredient Parmesan Ranch Chicken Tenders Recipe is sure to become a new family favorite! 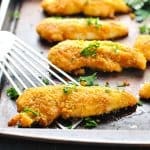 Crispy, juicy, full of flavor, and easily baked in your oven, this 5-Ingredient Parmesan Ranch Chicken Tenders Recipe is sure to become a new family favorite! Trust me: everyone will LOVE this dinner! I came up with this recipe when I had a few packets of Ranch seasoning leftover from another recipe. Since my kids adore a similar dish that I make with Ritz crackers and Parmesan cheese, I knew that this version would also be a big hit. Plus, with only 5 ingredients, it’s simple and fast to prepare! How do you make Juicy Chicken Tenders? This crispy chicken tenders recipe is so darn easy! 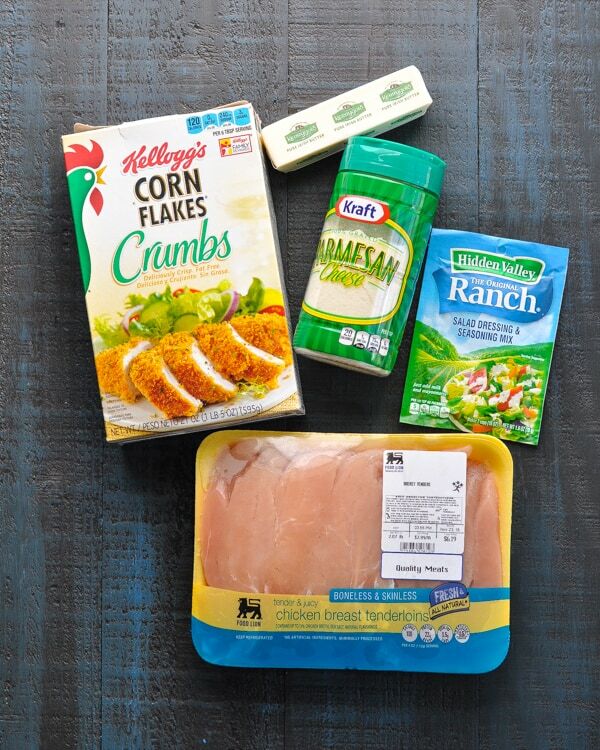 You’ll need crushed Corn Flakes, a stick of butter, grated Parmesan cheese, a packet of Ranch seasoning, and 2 pounds of boneless, skinless chicken tenderloins. First, combine Corn Flakes, Ranch seasoning, and Parmesan in a shallow dish. Place the melted butter in a separate dish. Pat the chicken dry, and then dip each tenderloin in the butter and then into the crumb topping. 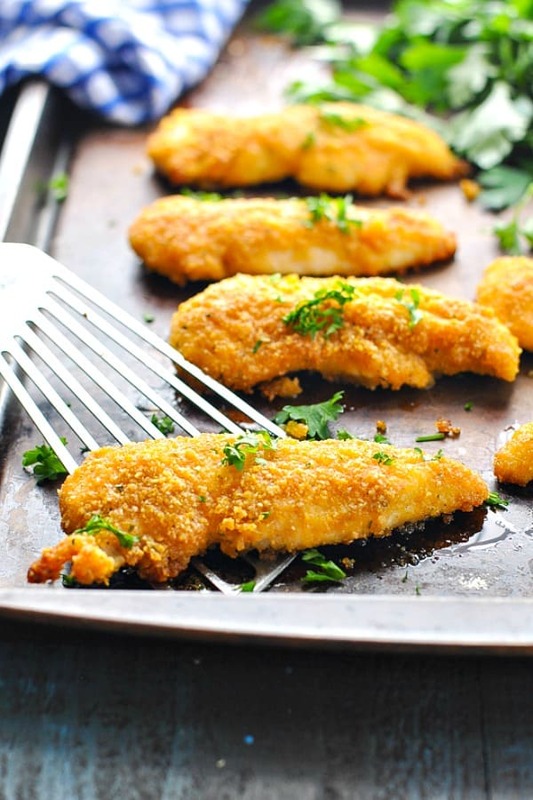 Arrange the breaded chicken tenders on a large rimmed baking sheet in a single layer. Sprinkle with remaining crumbs and drizzle with remaining butter. 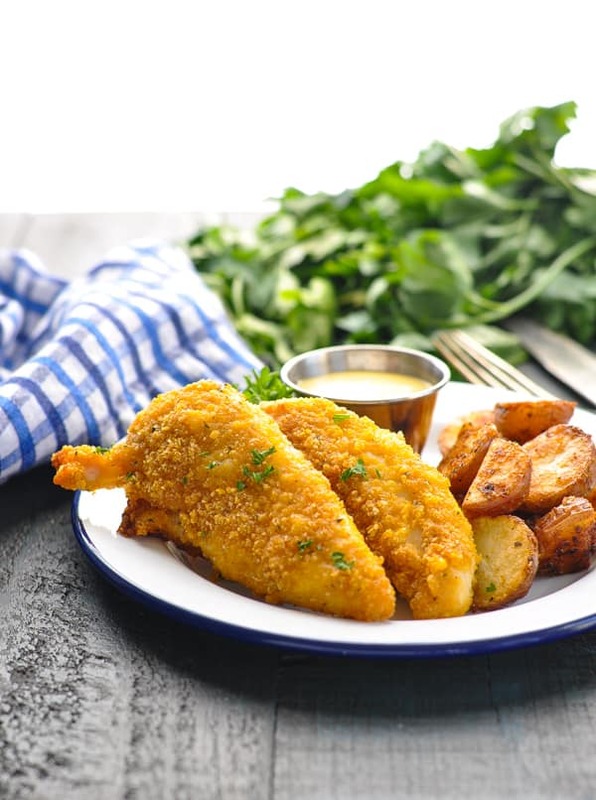 This baked chicken tenders recipe goes into the oven at 350 degrees F for about 25-30 minutes, or until the coating is crispy and golden brown. 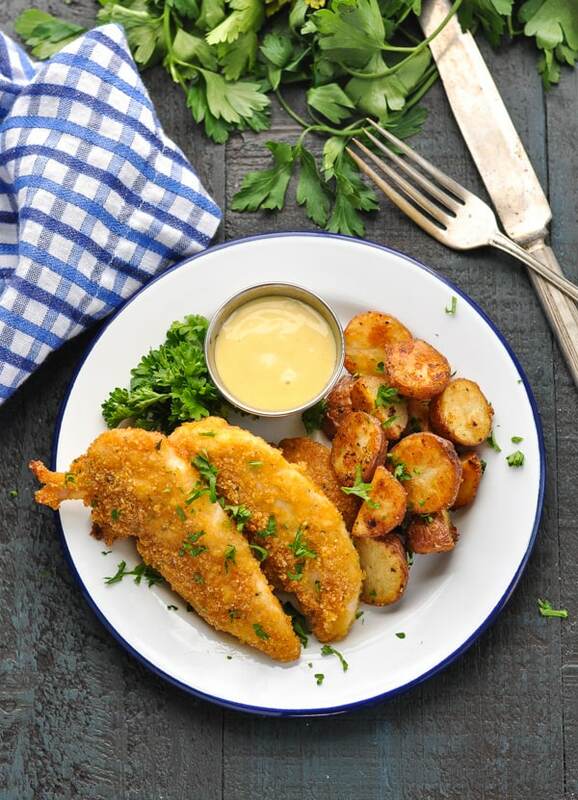 What Sides to make with this Chicken Tenders Recipe? Prep Ahead! You can assemble these chicken tenders in advance and keep them refrigerated until you’re ready to bake them! 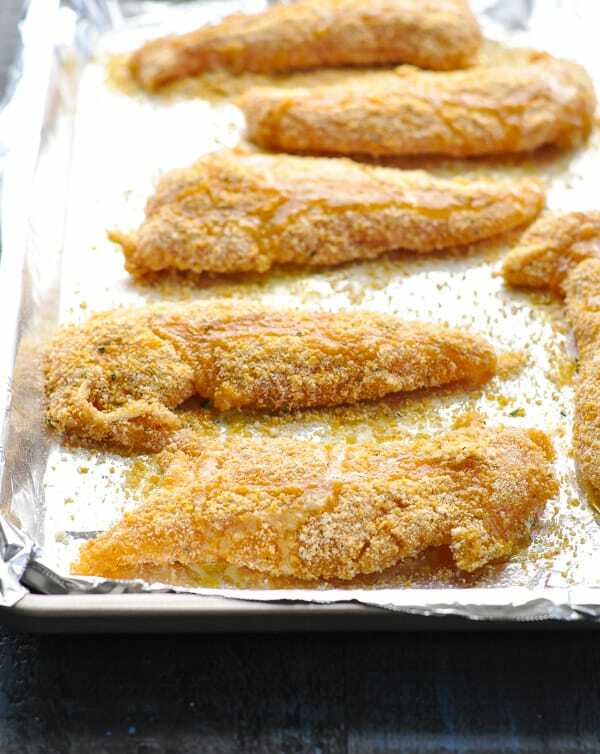 Sprinkle any extra leftover crumb topping over the tenders once they’re on the baking sheet, and drizzle with any leftover melted butter. You can never have too much flavor! 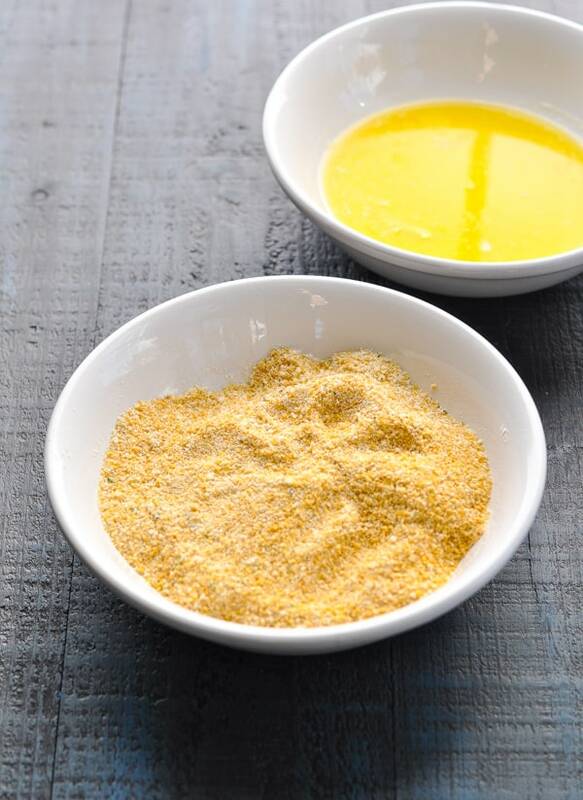 Serve with honey mustard or ketchup for dipping — restaurant style! Cooking Just for Two? You can easily cut the ingredients in half and just prepare 1 lb. of chicken tenders. Have leftovers? Reheat them in the oven (or in a toaster oven) and serve them in sandwiches the next day! 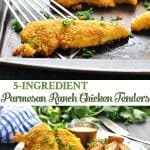 This is truly the best chicken tenders recipe ever! Preheat oven to 350 degrees F. Line a baking sheet with foil and spray with cooking spray. Set aside. Combine cheese, corn flakes, and dressing mix in a shallow dish. Use paper towels to pat the chicken dry. Dip dry chicken in butter and then dredge in corn flake mixture. Place tenders on prepared baking sheet. Top with remaining crumbs and drizzle with any remaining butter. Bake for about 25-30 minutes, or until chicken is cooked through and coating is browned and crispy. Nutrition Information for 1/6 of the recipe includes all of the crumb mixture and all of the butter. If you don't use it all, the nutrition information will change. Prep Ahead! You can assemble these chicken tenders in advance and keep them refrigerated until you're ready to bake them! 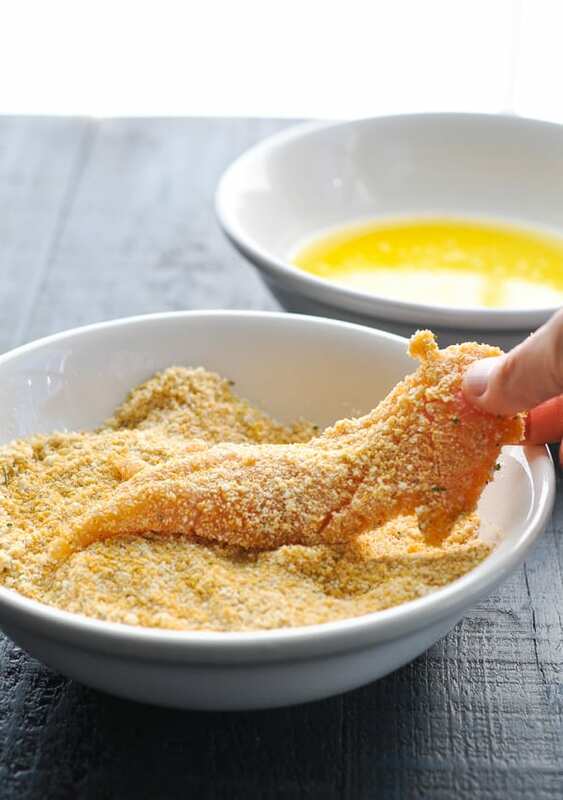 Sprinkle any extra leftover crumb topping over the tenders once they're on the baking sheet, and drizzle with any leftover melted butter. You can never have too much flavor! Serve with honey mustard or ketchup for dipping -- restaurant style! This recipe was originally published in September, 2014. It was updated in January, 2019. These look delicious! I love corn flake crumbs as a coating for chicken fingers, so crunchy! Thanks so much for stopping by, Renee! What a wonderful idea! I am always wanting quick and easy weeknight meal. Thank you! I love the use of dry each seasoning to add flavor to any dish. I’m sure the kids went crazy for these delicious chicken fingers! Thanks for sharing at Saturday Nifht Fever! These look delicious! I love baked chicken fingers! Sold! They look awesome, Blair! Looks yummy & I think I know some little boys who wouldn’t complain if this showed up on the table! I found you through the Weekend Re-treat link party. If you get a chance, I’d love it if you stopped by my blog sometime! Have a great weekend! These look delicious! I do something similar with Greek yogurt. I will have to give your recipe a try! Thank you for sharing at the Merry Monday Link Party! This looks like something we would eat up!! Thank you so much for linking up at Tasty Tuesday! Your recipe has been pinned to the Tasty Tuesday Pinterest board! Please join us again this week! My kids will love these. I am also featuring you on Tickle My Tastebuds and would love it if you’d stop by and link up more delicious recipes! These look so yummy! 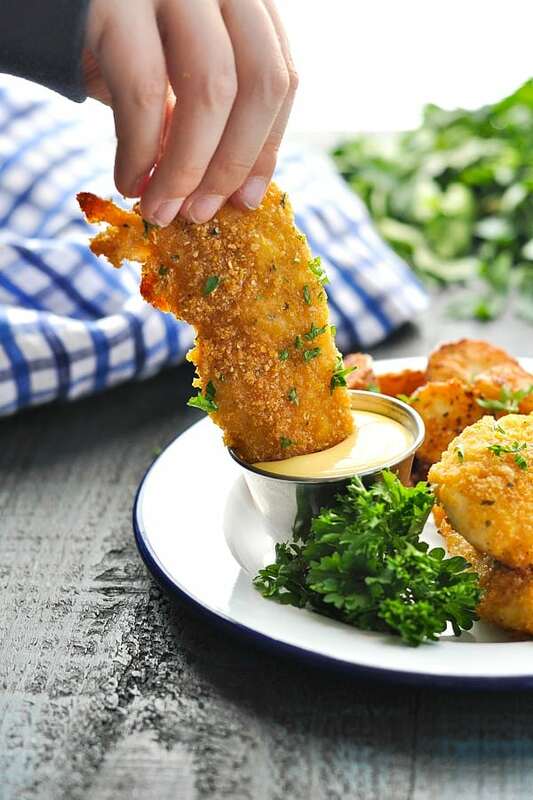 I love anything with Ranch seasoning and we are huge chicken finger fans here. I love your idea of putting them in a sandwich too! Pinning! I just wanted to come say how amazing these are. I’ve been using your recipe for a couple years now and we all love it! Thanks for sharing such a easy awesome dish!!! That’s wonderful, Trisha! Thank you so much for letting me know! This is a delicious, simple recipe, Blair. I truly enjoy your easy, simple recipes. My niece and her family live in Madison. It is a beautiful area. I have family in the Culpeper area going back generations. I love seeing your pictures of the area and just mentioning the areas of Orange, Charlottesville, etc makes my heart smile. Thanks! These look great but I was wondering where the Ritzy baked chicken tenders went!? All the links end up back at these parmesan ranch tenders. Preheat oven to 425 degrees F. Line a large baking sheet with aluminum foil. Place a wire cooling rack on top, and spray wire rack with cooking spray. Set aside. In a shallow bowl whisk together melted butter, garlic powder, and salt. In a separate shallow bowl, combine cracker crumbs and cheeses. Dip chicken in butter mixture, then coat with crumbs. Place chicken on the prepared rack on the baking sheet. Lightly spray chicken with cooking spray or oil (this will help the crust brown). Bake for 15-20 minutes, turning once, until chicken is no longer pink inside and the coating is golden and crispy.